You know when you boil a big pot of pasta, drain it, throw it back in the pan and then the pasta all kinda clumps together? Well I’ve got the solution to your sticky problem. 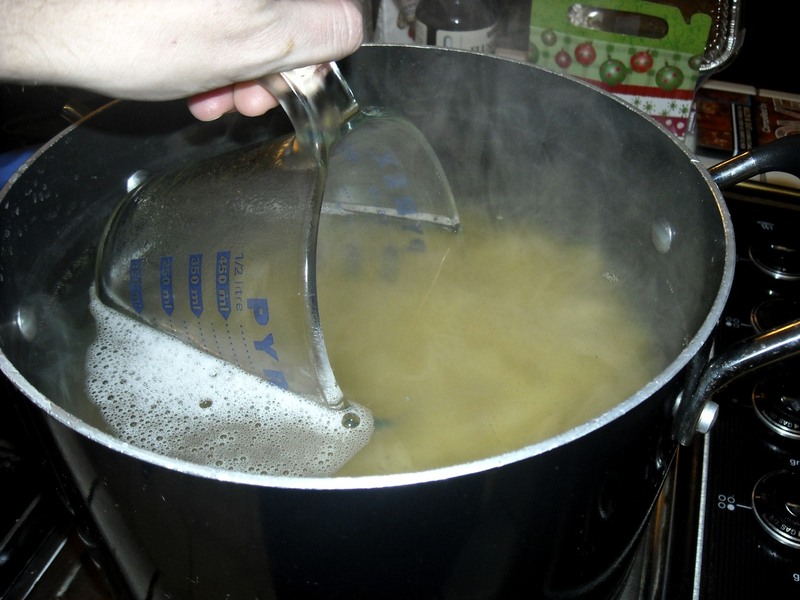 First, make sure you boil your pasta in plenty of water. More boiling room=less clumping together. So get your biggest pot full of water (like two-inches-from-the-top-full) and cook your pasta in that (carefully seasoned with salt, of course). 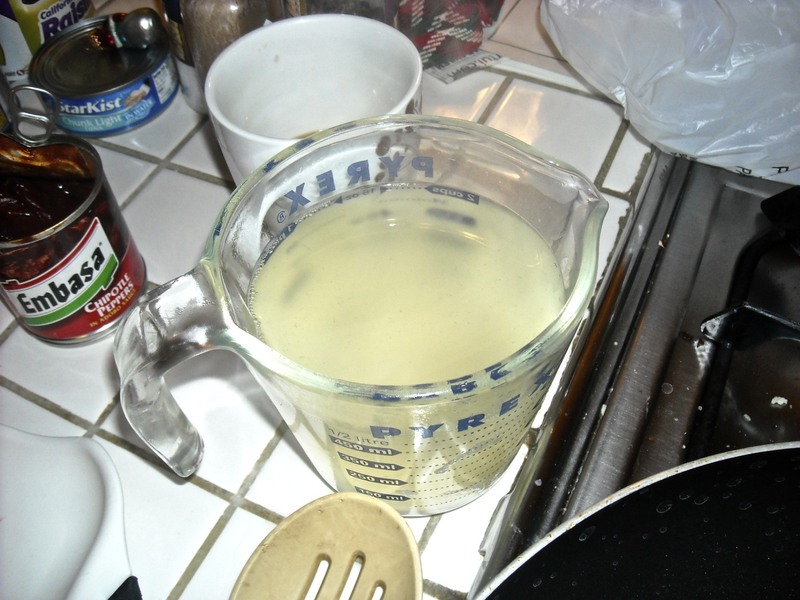 Then, when your pasta is cooked to your liking, take a glass liquid measuring cup and scoop out about one or two cups of the boiled pasta water. Set that aside and then pour a little over the pasta to separate. Works like a charm thanks to the starchy water! You can also reserve the water and then pour all of it over the clumped pasta in a strainer right before serving if you’re using the whole pot of pasta at once. right?! I get so mad when I forget to scoop some out.